Phoenix AC Experts Blog – We have been providing residential and commercial air conditioning & heating services in the Phoenix Valley since 1997. We are a family owned and operated business. Our company prides itself on excellent and outstanding air conditioning, heating and refrigeration service. Our goal is to deliver high quality products and service at the most competitive prices available to our customers. Our staff is professional, friendly and knowledgeable when it comes to refrigeration, air conditioning and heating for your home or business. 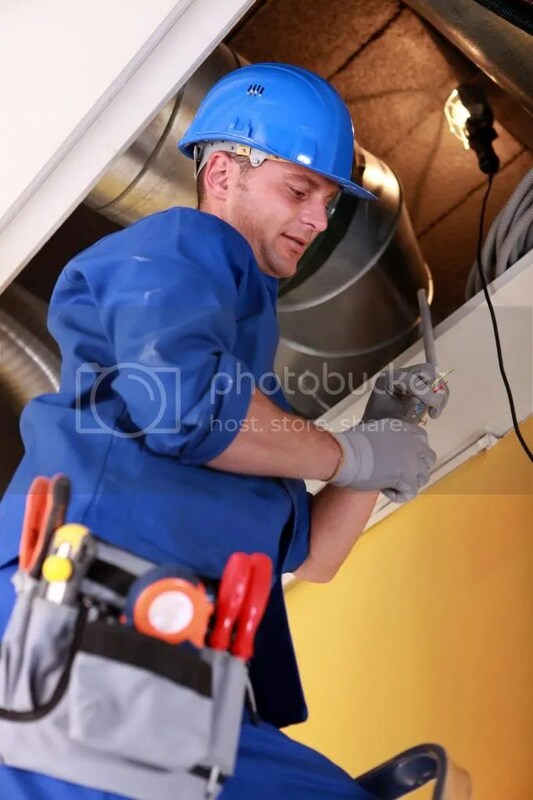 Ventilation cleaning is a form of home maintenance that reduces pollutants that have built up in our home duct work from being blown back into the air we breathe inside our residence. This form of maintenance has really taken off in recent years as we have more knowledge of clean air and how impurities affect our lives. This is something that should be done yearly by a qualified professional to ensure the job is complete and risk minimized. Continue reading this article if you think your home needs ventilation cleaning performed and what exactly is hiding in your vents. Why Our Home’s Air Quality is so Important! One of the biggest issues plaguing society today is mold in our homes. It hides in the dark recesses and can cause serious respiratory issues including death. Our duct work is made of metal and depending on the temperature changes in the home, may sweat and actually start growing mold. These spores are then circulated into our living space as the system cycles affecting the air quality in the home. A professional, besides cleaning the ducts, will spray a solution in mist form into the vent work to kill off the mold and ensure the air we breathe is safe. Most of us question where all the dust comes from in our homes and may even blame it on heavy foot traffic. While this is true, much of that dust has found its way into the vents and has built up for years to the point it simply blows back into the air and eventually makes its way back into the vents repeating the cycle. Ventilation cleaning will remove all of these particles and make the air we breathe noticeably cleaner as well as reducing the amount of dust build up on tables and TV’s. Ventilation cleaning can be the best money you spend on your home. The vents are visibly cleaner and the fresh air smell will open your eyes to how bad the problem was. If you haven’t done so in the last year, it is more than likely time to call someone in to clean your vents and your ducts. After your air conditioning company has installed your AC unit, it is up to you to limit your usage and use it in a practical way. 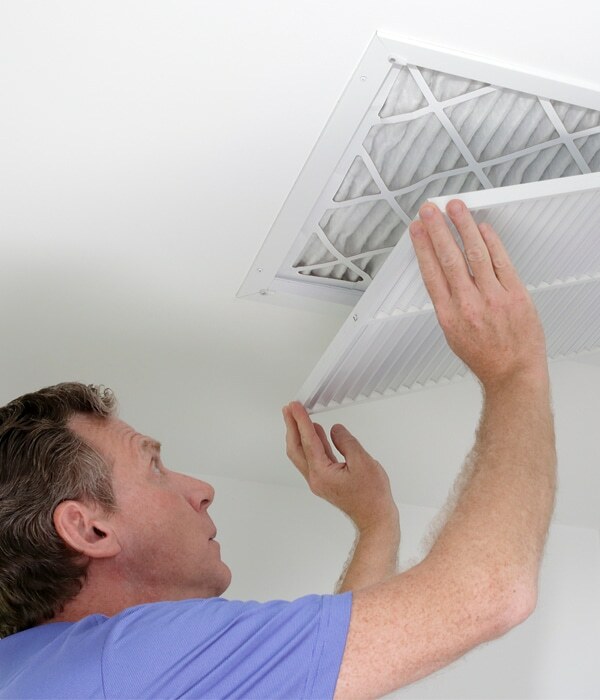 Keep your AC filters clean every month to ensure proper air flow at all times. To prevent the suns heat from getting through your windows, install blinds or woven bamboo screens. Also keep your windows closed during the day. To ventilate your room, open your windows at night as it is cooler during this time. Your air conditioning company will tell you that your AC unit will take more time to cool your room when it is warmer. Before you have your AC unit installed, ask about proper installation of your unit. The performance, efficiency and life of your equipment is greatly affected if not properly installed. Your air conditioning company can give you more information to help you save more on your energy bills while enjoying your equipment. 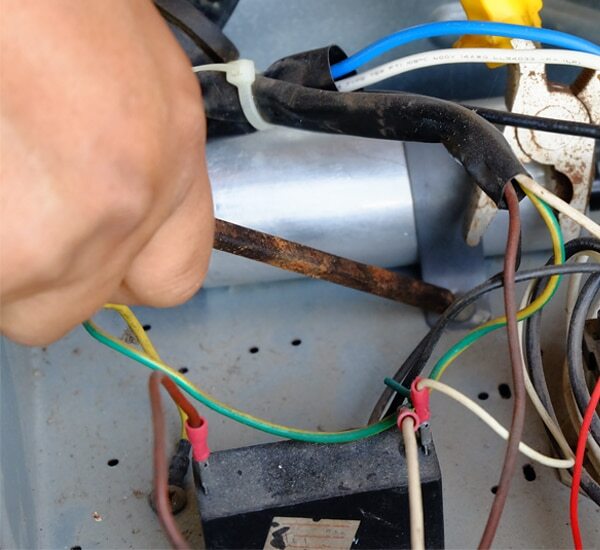 AC Repair is essential anytime it starts to malfunction. Air conditioning service usually becomes something that everyone looks for during hot seasons. A malfunctioning unit can make a residence or office a living hell if not fixed immediately. Air conditioning repairs cost a good sum of money but it is best to fix it early as waiting will only make things uncomfortable. Before you go look for affordable ac services, it is best that you take a look yourself. Things that go wrong air conditioning are quite common and some of them can be fixed by you. Just because your home has become too hot all of a sudden, does not necessarily mean that your ac is malfunctioning. It is a good practice to check the thermostat first. Thermostats that are of old model have switched that can be pointed at ‘off’ from ‘cool’ by the lightest touch. Digital thermostats have the same kind of problem for malfunctioning batteries. These problems are usually solved by lowering the thermostat. If changing the thermostat does not help then the problem could be with a blown fuse or a tripped breaker. Tripped breakers need to be reset and blown fuses can be replaced easily. If you suspect that the problem is here and you cannot handle it then you can call an electrician to check it out. Another common problem is that outdoor units have a tendency to freeze up. In such cases you should keep the unit off for a few hours so that it can thaw. This action often solves problem. Malfunctioning problems can often be resolved without the help of professionals. Looking for Affordable AC Service? However, if none of these solutions work for you then you need affordable ac repair. (Read more) It is best to replace old models than to try and fix them, because the solution will be temporary and it will cost you more. Replacing a malfunctioning ac is better than getting ac service throughout the year. Newer models are likely to be more efficient and will cool the surroundings faster. It is unlikely that they will require ac repair in a short while. New models are energy saving and as a user you should know how much energy costs are during summer seasons. If you need general purpose cooling for your home then it is best to go for zoning and split systems. These are energy efficient and ideal for homes. Evaporative cooling can be great choice for those who have low humidity levels. It is extremely energy efficient and rarely requires ac repairs. If you live in a cool area then a central air system is not a good solution in terms of economy. It is better to get window units and not suffer a hefty bill. Air conditioning repairs are quiet important given the climate of some places. For example: those who live in Greensboro need air conditioning service because of their climate. Usually people are not comfortable handling repairs on their own so it is best to get the help of professionals when your ac malfunctions. Finding quality air conditioning contractors can be a daunting task for the homeowner. It can be difficult to know exactly where to begin, and how do you know if they are doing the job correctly since you do not know how to install or work on the unit yourself? There are some ways to help protect yourself against fraud. Homeowners should look at installing a unit which will provide heat and air as an investment. Then when it is time to hire a professional to service the unit, it is more like protecting your initial investment. To begin the search, you will want to check out several who offer services of this nature. Most of them will have brochures or websites which make available information about the services they provide. Checking out several different air conditioning contractors will give you a general idea of price ranges that are typically charged. Be sure to check their references as it can help you determine the quality of repairs and reliability of their services. One of the most important issues is the licenses and insurance that the contractor carries. Specifically check to make sure if they have liability insurance as this is what will take care of their employees if they are injured while they are working on your property. In a situation like that it should not be filed with your home owner’s insurance. To maintain their professional standing they should have a license that shows they do indeed know what they are doing. It also lets customers know that they are legally working in the field. Another important aspect that should be looked in to is how long the company has been in business doing ac repair. They should have solid contact information such as a valid address and a land line for a phone number, not just a cell phone. You can also check their listing with the Better Business Bureau in your area. They can let you know if it is a reputable establishment or not. When hiring a company to do any sort of installation or air conditioning repair always make sure every item contained in the contract is written down in detail. Read it over carefully to make sure every item that was discussed is written down clearly before you sign the contract. The contractor should also sign the contract or it is legally considered void. Before finalizing any payments to the company double check to make sure that each item was completed sufficiently. Do not pay for work that is not complete, even if they promise to finish it later. The final payment should not be made until all the work is done as set forth in the contract. Installing units like this in your home is a major investment. If it is not handled properly it can end up costing you more in the long run. By checking credentials, references and reputations you can be assured that you will find good, quality air conditioning contractors. The Phoenix AC & Heating Experts is your go to for any air conditioning services you may need in Phoenix. Ventilation Cleaning…Is It Worth Your Time? When it comes to ventilation cleaning, people have mixed views on whether or not it is actually necessary. The main thing people have concerns about with regards to getting your ducts cleaned is whether or not cleaning them will help prevent any health problems from occurring. Now it should be noted that none of the studies on vents have yielded concrete proof that vents that are not cleaned can lead to future health problems. However it is also important to note that these sorts of studies are relatively new and the whole arena is still in its early stages. One thing that can be proven is that sheet metal, can indeed be a ground for mold. Often times the only way to tell whether you’ve got mold or not is through visual inspection. Unfortunately for most, many areas and sections of your ventilation is not visually accessible. Aside from ventilation cleaning for health reasons you may also want to do it for performance reasons as well. Some people believe that a good cleaning will help improve the efficiency of your eating and cooling system. With no particles in the way, your entire HVAC system can more around much easier. This is particularly true for ventilation systems that are larger than normal. 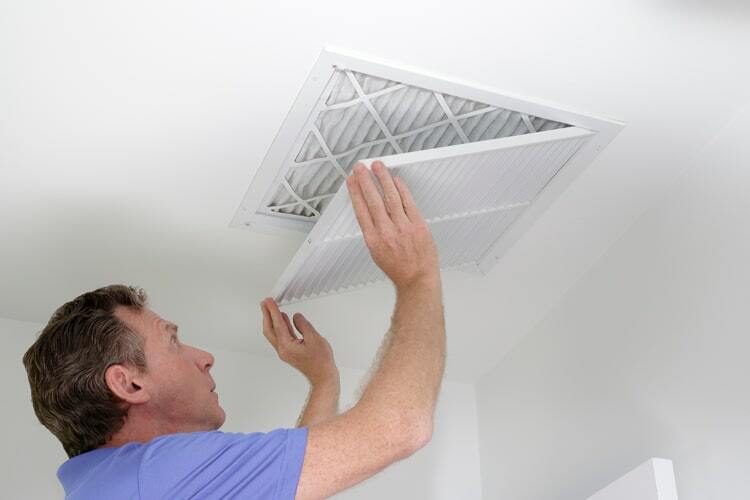 Whether you decide to get your vents cleaned or not is strictly up to you. However, if you or someone in your household suffers from asthma or has a dust allergy, it might be a good idea to go through ventilation cleaning annually. This will significantly reduce the amount of dust in your house which will improve the health of you and your loved ones dramatically. At the Phoenix AC & Heating Experts we know that it is getting warmer and we are getting even more busy every day. As the temperature increases, air conditioning companies will get very busy. One of the main reasons is that this is the time that most air conditioning units are being turned on and this is when the problems start. The extreme Arizona heat is very hard on any electrical equipment outside. Have you ever left batteries for your power drill and electronics in the garage. They are not in the direct sun, but the heat will shorten the life expectancy of these batteries drastically. 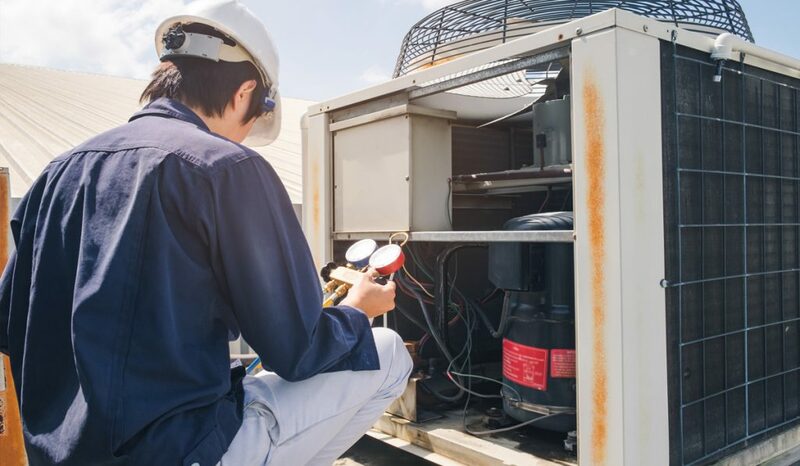 We recommend to homeowners and especially our commercial customers that they should get their ac units checked every single year. This is just a maintenance check up in most cases. Sometimes we find a problem and are able to catch it early before it becomes a really big air conditioning repair problem. We run a special at the beginning of summer for residential air conditioning customers for tune-ups and new installation. Give the Phoenix AC & Heating Experts a call and we will get you scheduled for your tune up special before the summer starts or ends.